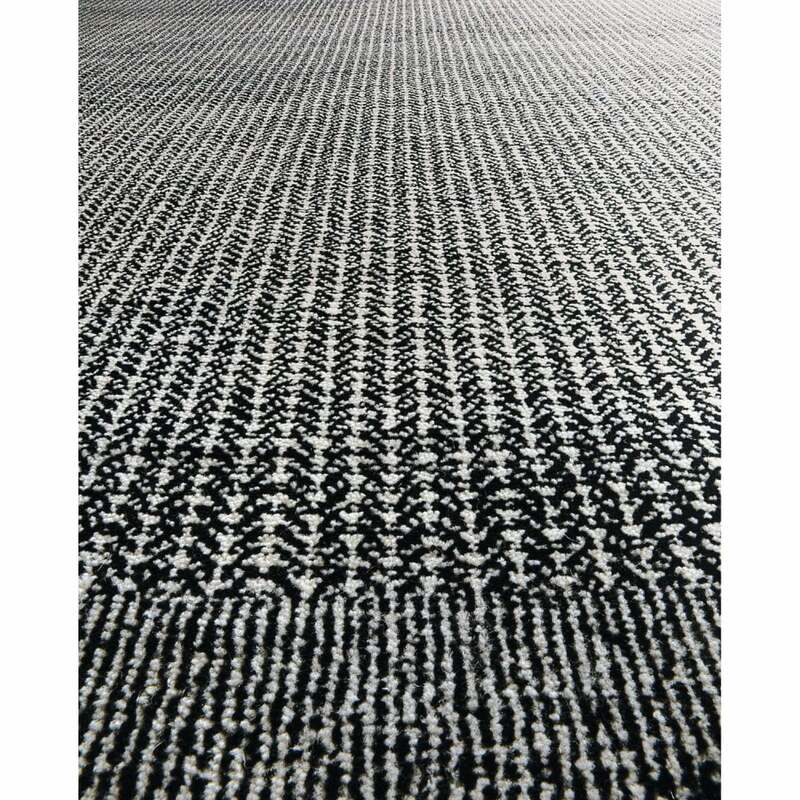 The classic fabric is revisited in a simple sophisticated wool hand knotted rug in black and white. Suitable for both residential or contract projects. Handmade in India.